Phone : +62-85100640515 / Mobile Phone : +62-811313603 . 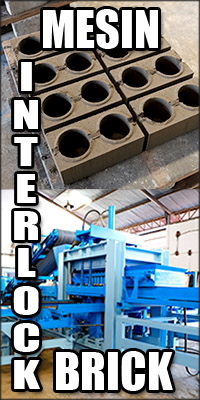 Established in 1982 , manufacturing machineries and services for concrete industries . We are specialize in machineries for concrete industries like concrete roof machine , paver , concrete blocks , concrete bricks , etc . 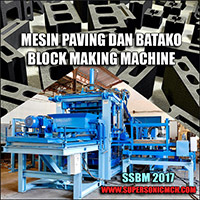 For products , details , manuals , site plan , etc , please visit : http://www.supersonicmch.com . Beside Manufacturing Machineries , we started import and export machineries since 2004 , exporting machineries to some countries in Asia and Africa , and importing machineries from China and Taiwan to sell in Indonesia . We already served and have many customers and networks of Industrials sectors in Indonesia .